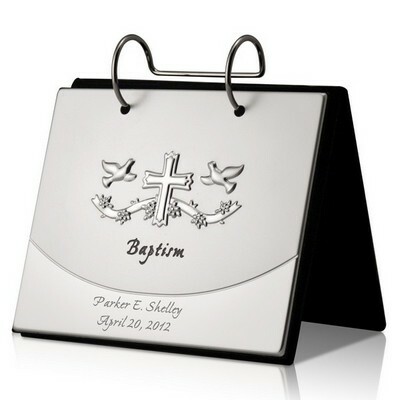 Elegant silver plated frame features a traditional, simple cross in the upper left corner. 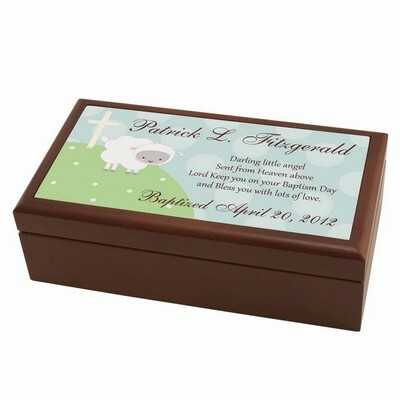 The bottom provides ample room for you to add two full lines of your personal text. 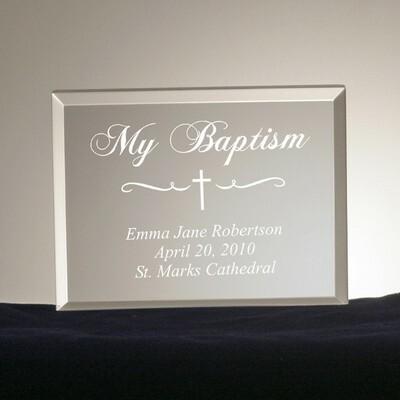 Perfect for a Christmas, wedding, communion, confirmation or engagement gift. 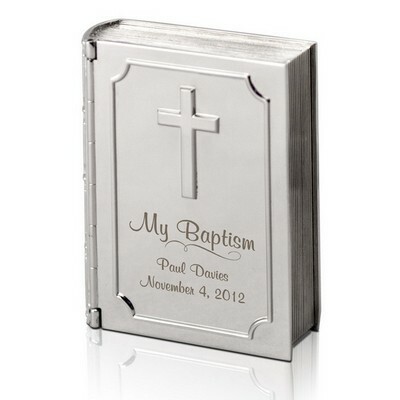 Add a bible quote, short poem, their special date or your own created sentiment to the frame to make it extra special. 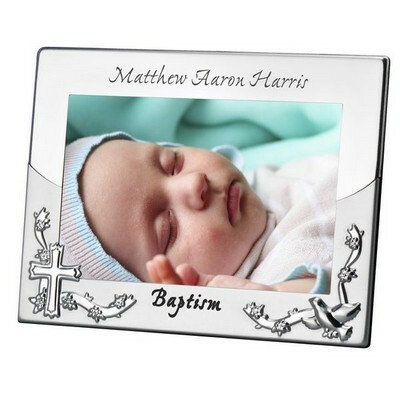 Frame is 5 1/2" x 7 1/2" inches in size and holds a 4 x 6 photo of their fondest memory. 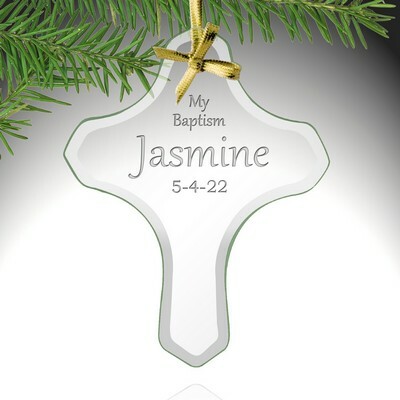 Personalize with two lines of text on the bottom of the frame. 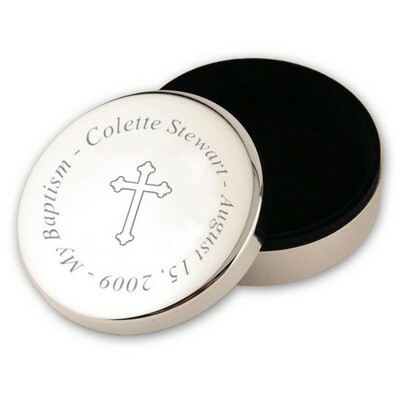 Comments: This is a simple but very classy silver frame. I spent a lot of time online looking for a frame I liked, and I finally found it. The lettering came out perfect in size and font. 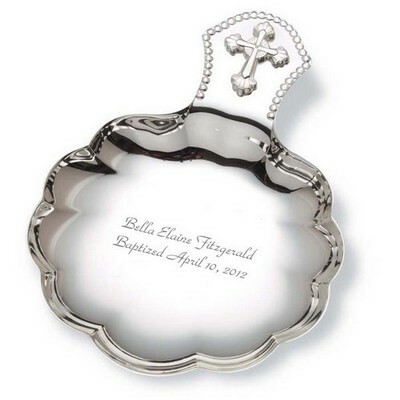 It was a baptism gift and the recipient absolutely loved it. 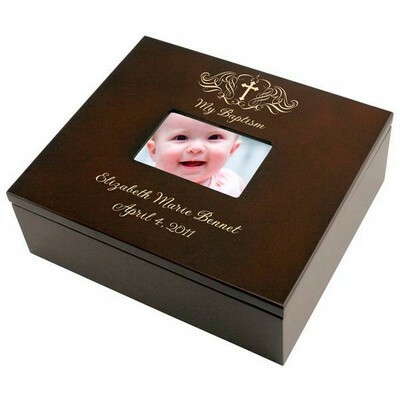 Comments: Bought frame as gift for girl baptism. Very happy with product. It came nicely wrapped and packaged in frame box. It was nice quality, frame had nice weight to it. 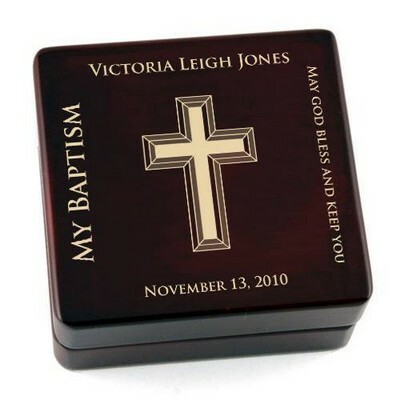 Personalized Engraving was nice and clear and raised cross was nice touch. Would order this as gift again. Comments: I was looking for for an elegant frame, not specific for any religious event. This is beautiful!!! 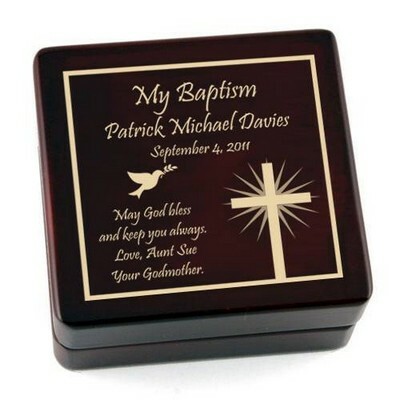 The engraving turned out very nice as well. The delivery was timely and the package was well-secured. Comments: The frame is very elegant and beautiful. Personalization came out perfectly. It was shipped very quickly.